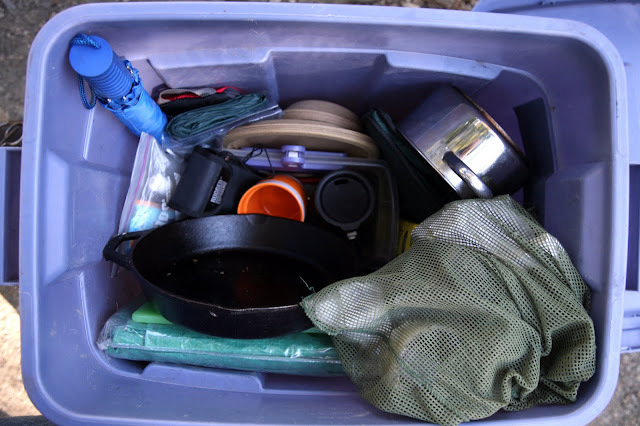 One thing that makes it so easy for us to pack up and go camping is our camping box (nothing fancy, a big ol' plastic container with our camping stuff). We make sure it's always stocked with the necessities and we are practically half packed already. We've gone through the box several times trying to figure out what we really need and don't need, adding things here, taking out things there. This is where we are at right now - what am I forgetting?? If you are a crazy list person like me you might also enjoy this Camping List app for the iphone... I love lists. 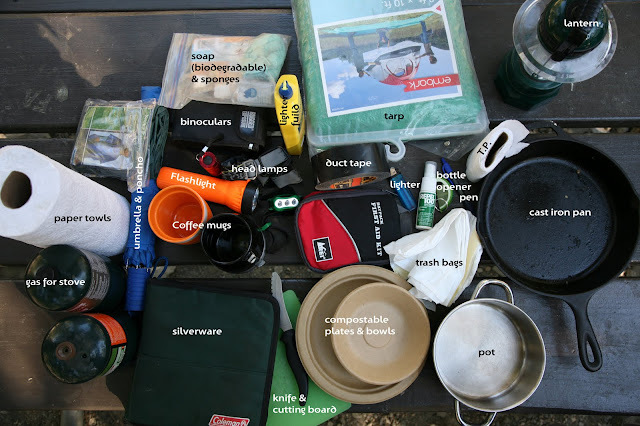 To do lists, grocery lists, packing lists, etc etc. Packing food is another ball game. I am still trying to get that one down. You think it would be easy enough... but no. I don't love process packaged foods, so I usually try to make a lot of stuff ahead of time, which is fine and great, but sometimes, I just don't have the time. I just came across this app: Coleman Cookout Cookbook and Meal Planner might give it a look-see. just recently compiled a box of my own and I love having everything ready at a moments notice!